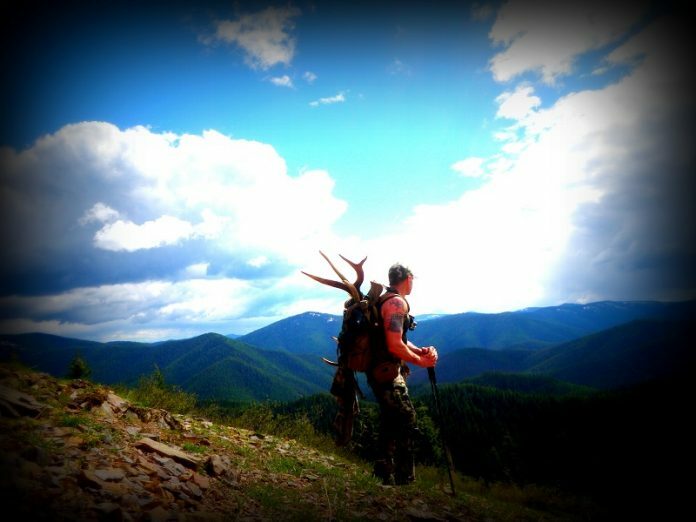 One thing you learn early on as a mountain hunter is that if your feet aren’t happy, you aren’t having fun! If you choose the wrong boot for your feet and the conditions, you’ll suffer and likely cut your trip short. We’ve all seen either our own or our friends’ badly mangled feet from blisters and the like. Just the thought of it makes you cringe and not want to be a recipient of this pain. I don’t get to spend the amount of time in the mountains that I would like, so I refuse to lose a day to the result of poor boot selection. 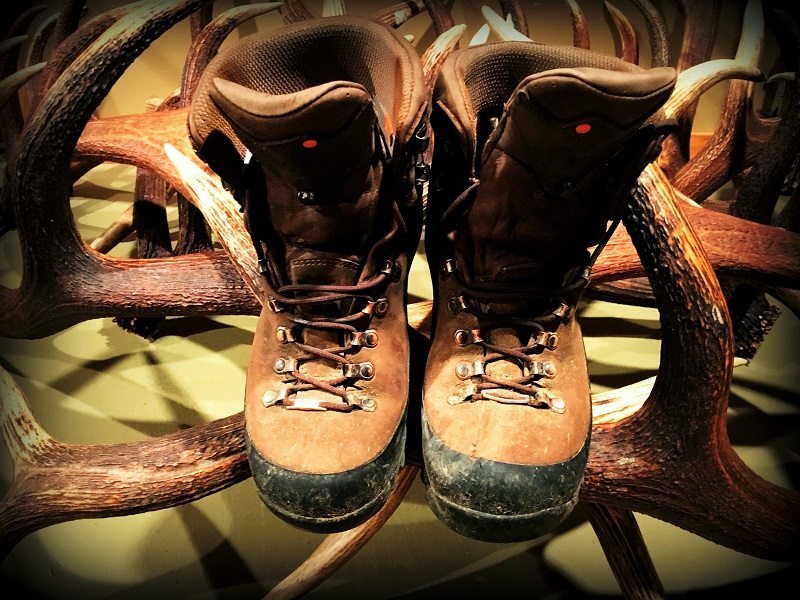 I recently had a chance to try out the Crispi Nevada GTX Hunting Boot . 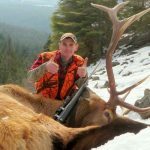 My time afield would be in the woods of Idaho during April and May shed hunting with conditions ranging from very wet to very dry, snow fields, a lot of brush, rocks, and many miles of side-hilling, stream crossings and temperatures ranging from the high 20’s to low 80’s. Never having worn a pair of Crispis, the first thing I saw when I googled them was that they are hand made in Italy. If there is one thing I know about Italy, they make fine leather goods, as evidenced by the wife’s closet. When the boots arrived, I opened the box and the first thing I noticed was the quality and workmanship of this all leather boot! The second thing I noticed is they are not a lightweight hiker. They are advertised at 1.8 pounds per boot in my size 9.5, and are 7″ tall. My scale showed after 60+ hours in the mountains, several applications of Obenhaufs and with a Meindl liner, mine came in at 1.9 pound per boot. 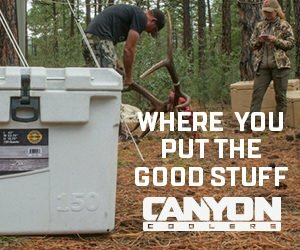 When purchasing an insulated boot, weight is not a priority for me, as comfort, stability, ankle support, and toe box room are a higher priority. I prefer to break in a pair of boots prior to a day running around the mountains. For these boots, I basically had no break-in period, outside of a quick 30-minute trip to the gym to make sure they fit appropriately. I did find that the provided liner was not of my liking, as it was a little thin and not as comfortable as the Meindl liner I use in most of my boots, so I made the swap. The next morning, I was off to cover some ground expecting sore feet at the end of the day, but was pleasantly surprised when I had no hotspots. The next day found me lacing up the boots with no discomfort which was nice on my 52-year-old feet. This can be attributed to the smooth leather lining that reduces friction and pressure points to help prevent blisters. I never felt as though I was developing a blister, even with the amount of side-hilling and sweating I was doing. The boot is designed around a system called A.B.S.S., which stands for Ankle Bone Support Systen. Being an individual with a history of ankle rollovers, I am very selective in my boot choices and try to be careful to not put my ankles in a compromising position when afield. Through 60+ hours wearing these boots, there was hardly a time where I felt my ankle may roll. I would attribute this to a combination of the ankle support system, the deep heel cups, stiff sole, lateral stability, and Vibram super grip outer sole that kept me in a position of confidence throughout the days in the mountains. Each day gave me more confidence in the boot’s design that I would not have to worry about a rollover, which is a nice feeling to have my ankles. 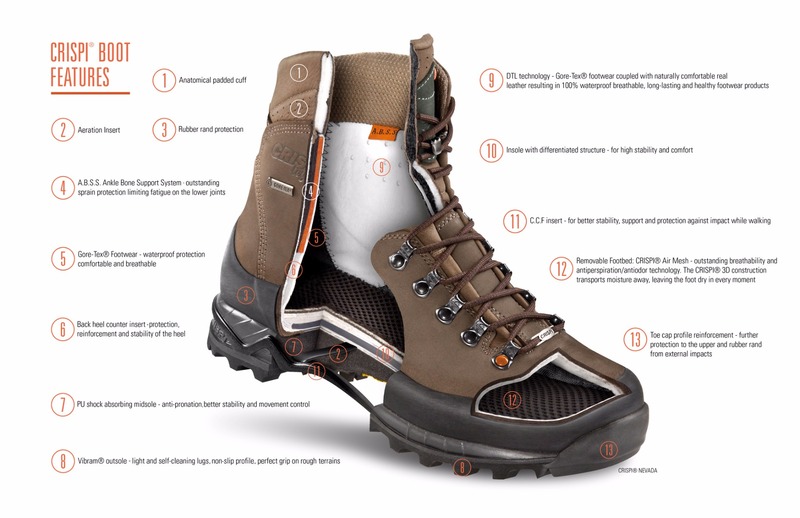 According to Crispi, the boots have an insulation factor equivalent to 200 grams of Thinsulate but the process of applying the proprietary insulation employed by GORE allows the bootie to breath better than the typical processes used with Thinsulate. This results in warmer feet in cold temperatures. Most of the days my feet were comfortable with the temperatures that I saw, but as this is an insulated boot, I would say most would feel the boots insulation would be too much when the temperatures hit 60 degrees. Your feet will sweat more as the thermometer rises and create the opportunity for hot spots for some wearers. Rain is a given in this area of the country, the question is how many days will you see it and how wet will you get! The boots come with Crispi’s innovative DTL Lining system with Gore-Tex. I wore a gaiter with them and had several full days in the rain, many creek crossing, not to mention this brush-soaked country of Idaho. I was pleasantly surprised to find that my feet were dry at the end of the day other than some sweat. They are advertised as waterproof and my experience showed this to be the case. Many a long day has ended with sore toes as I descend back to the valley floor and my toes jam into the front of my boot. I can’t recall how many black toenails I have had through the decades due to a boots small toe box. Along with the ankle support, this is a key item for me to check when I purchase boots, enough so that I always receive a friendly reminder from the Mrs. to check this item. I can honestly say that I never felt an issue with my toes being crammed to the front of the boot nor any pressure to my toes on descents. 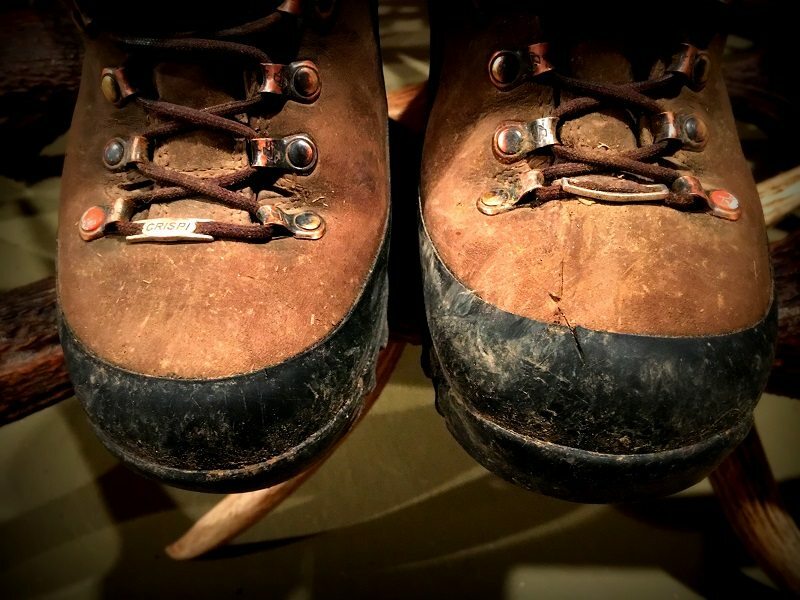 Regarding durability, I wore off some of the eyelet coloration and sustained a couple of cuts to the rubber rand around the front edge and to the leather on some sharp rocks. This kind of abuse is expected when you are hammering the mountains. If your looking for a mid-weight and mid-cut insulated boot that will provide excellent ankle support, lateral stability, and comfort, with little to no break-in time required, the Crispi Nevada GTX is the boot for you! Based on what I experienced this shed season, these boots will be on my feet come September and October of 2016.